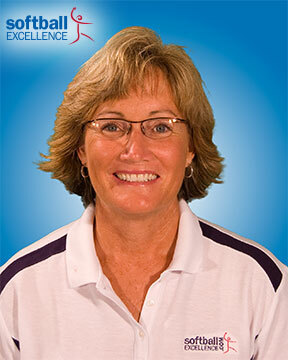 Cindy Bristow, owner of Softball Excellence, is one of the most renowned and experienced pitching instructors and clinicians in the world. She has authored numerous instructional books and videos on pitching, and gives pitching clinics and lessons to players of all ages and skill levels, including many NCAA Division I & II pitchers. She is an avid student of the game, understands the mechanics and fundamentals of pitching, and can get that knowledge across in an easy-to-understand manner. Because of her pitching expertise and prowess, Cindy has gained a well-deserved reputation as a pitching leader and innovator. She pitched both collegiately (Cal Poly Pomona), and professionally (Santa Ana Lionettes). She coached collegiately (Arizona State, New Mexico State, Wichita State), and professionally (Georgia Pride and Florida Wahoos). The Pitching and the Hitting Summits are Cindy’s brainchild. 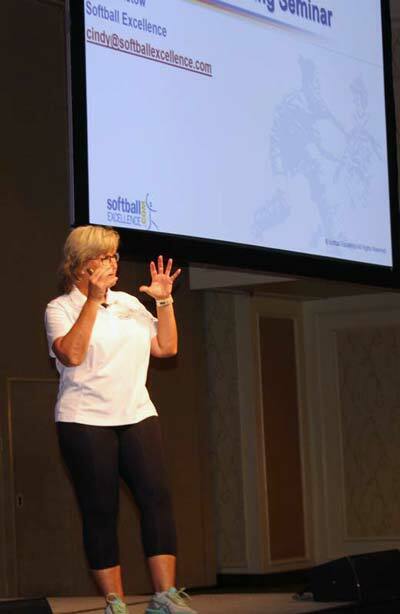 In an effort to create an intimate arena for college coaches to do a learning deep-dive Cindy created the college-coach-only Pitching & Hitting Summits. Cindy creates the agendas and moderates both Summits.